Don Gay won four consecutive world championships, 1974-77, the PRCA Season Championship in 1978, and then followed with another three consecutive world championships, 1979-81. Since he won his last world crown in 1984, Gay has held the record with eight bull riding world titles. Experts in the sport have called him the greatest bull rider of all time. Gay, born Sept. 18, 1953, in Mesquite, Texas, grew up in a rodeo family, son of PRCA stock contractor, Neal Gay. He began riding steers at age 6 and had an association permit before finishing high school. 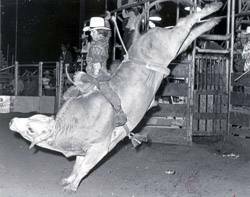 Gay holds the record for the third highest marked ride in the history of professional rodeo, earning 97 points on the famous RSC bull Oscar at the Cow Palace in San Francisco in 1977. 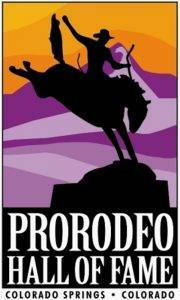 Today, Gay provides color commentary on professional rodeo.